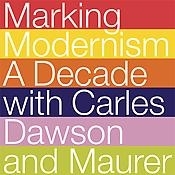 “Marking Modernism: A Decade with Carles, Dawson and Maurer” commemorates Hollis Taggart Galleries’ focus of more than ten years on one of the most significant periods in American art history, that of early twentieth century modernism. Our dedication to exploring this compelling area in American art began in 1997. Since then, our scholarly exhibitions on the American avant-garde have further validated the contributions of American artists. Among those artists at the center of our mission are Arthur B. Carles, Manierre Dawson and Alfred H. Maurer, three progressive individuals who helped to shape modern American art. With more than 20 exceptional works by these artists on view, the exhibition will demonstrate the important contributions to avant-garde approaches in modernism. Our dedication to advancing these artists has been realized through many avenues. Working with private collectors, museums and estates, we have mounted numerous exhibitions that have significantly advanced scholarship. For instance, Stacey Epstein, our Director of Modernism, who authored her doctoral thesis on Maurer and organized many shows on Maurer for this gallery, is now taking recognition of this artist to the next level through the organization of a major Maurer traveling museum exhibition scheduled for 2012. Similarly, our groundbreaking Carles retrospective of 2000, curated by noted scholar Barbara Wolanin, paved the way for Carles’ reintroduction into the story of American modernism and the new appreciation for his work as a bridge to gestural abstraction. Our concentration on Carles has brought his art to greater recognition, encouraging his rightful place in museum collections, including that of the Philadelphia Museum of Art. Likewise, the work of Chicago modernist Manierre Dawson is currently on view at the Metropolitan Museum of Art. 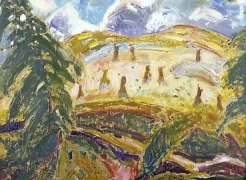 Our previous exhibitions on Dawson have led to our enthusiastic association with the Manierre Dawson Catalogue Raisonné, a project scheduled for publication in 2010 and spearheaded by Myra Bairstow and Dr. Randy Ploog. Over the last decade we have been privileged to work with extraordinary examples of these three artists’ vanguard . We are delighted to share a selection of some of our favorites in this focused exhibition, and we look forward to continuing to contribute to the rich and vital discourse in American art.